What’s shakin’ baby? 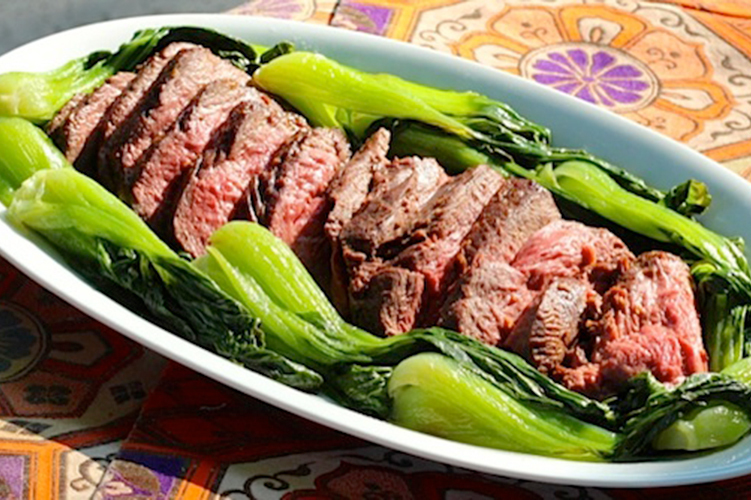 It’s this recipe for Shaking Beef! 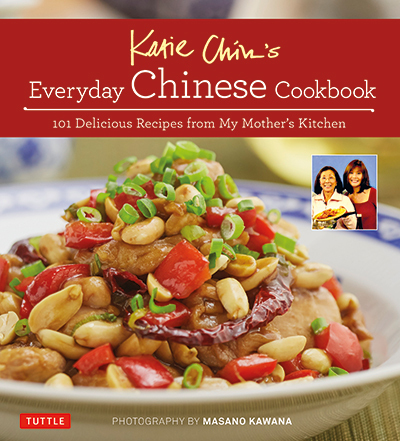 This is one of my favorite recipes from my cookbook, “Everyday Thai Cooking.” Although this recipe originated in Vietnam it has become a popular dish in the Issan province of Thailand because of its large Vietnamese population. 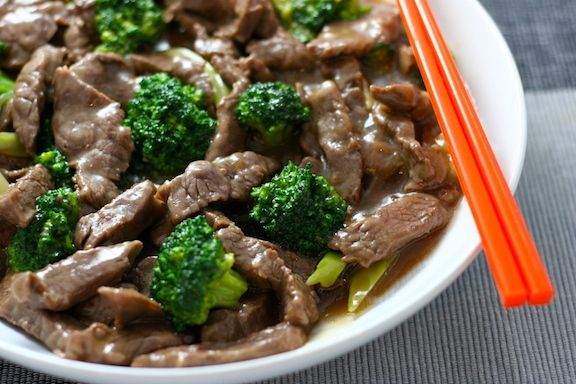 The reason it’s called “Shaking Beef” is because you don’t stir-fry the meat, you merely sear the beef and then shake the pan. 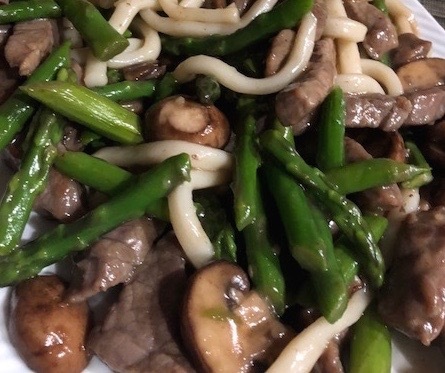 Whenever I make this, my daughter Becca makes me play Shake it Off by Taylor Swift and we do the Shaking Beef dance while the succulent beef sizzles in the pan. 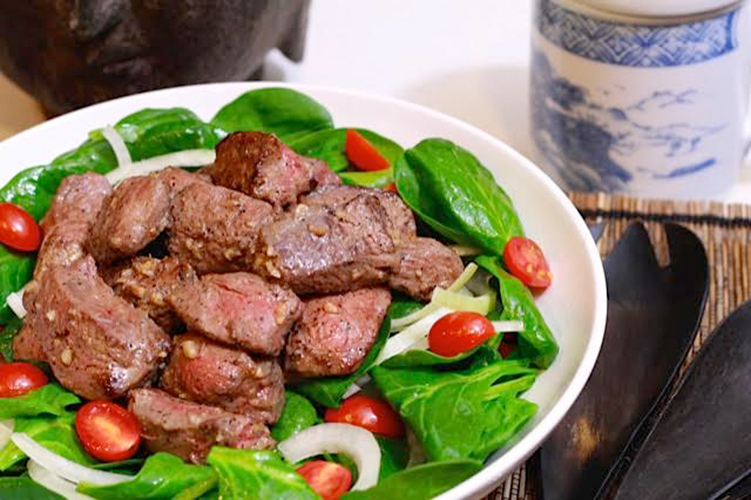 The deliciously seasoned filet mignon just melts in your mouth in this dish which is laid upon a crisp and colorful salad made of spinach, cherry tomatoes and onions tossed in a sweet, salty and sour dressing. 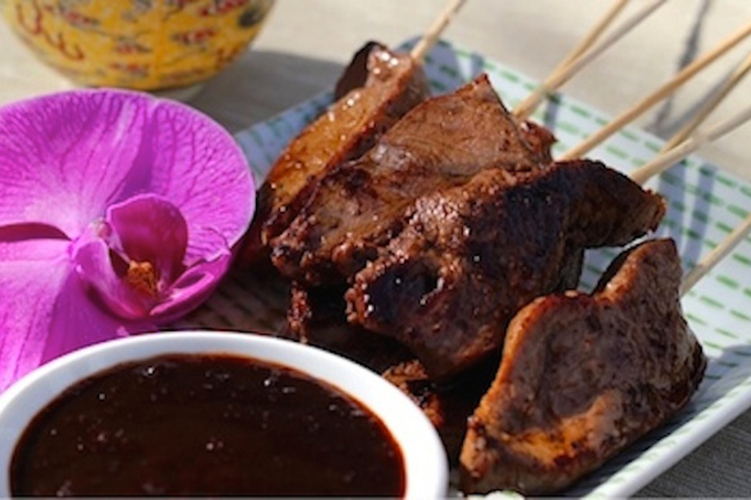 Finally, the beef is accompanied by a simple dipping sauce made with lime juice, salt and black pepper. I like to buy premium oyster sauce for the beef marinade from the gourmet section at Cost Plus World Market. 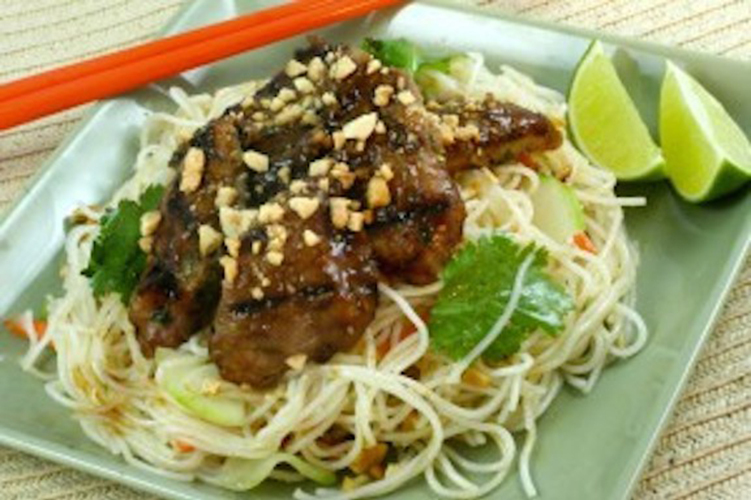 Marinade: In a large bowl, whisk together the fish sauce, oyster sauce, garlic, brown sugar, pepper and oil. Add the beef and toss to coat. Let sit for 20 minutes at room temperature (or up to overnight). Dressing: Whisk together the vinegar, oil, sugar, sherry and fish sauce in a small bowl. Set aside. 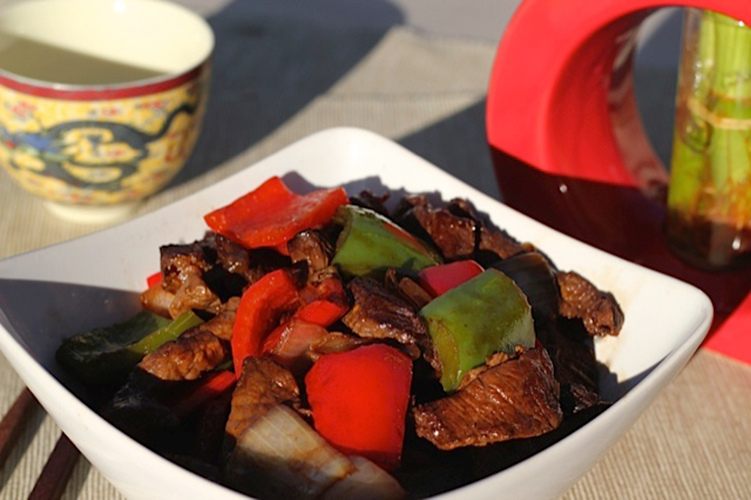 Heat the 1 tablespoon oil in the wok or skillet over high heat. Add the beef and let it sear without turning for a minute or two to get a good browning. “Shake” the skillet and turn the meat and let the other side cook the same way. Remove from heat and transfer with a slotted spoon. Remove from heat and transfer with a slotted spoon to a plate. Salad: Toss the Salad ingredients with the Dressing. Transfer to a serving platter. Place the beef on top. In a small bowl, combine the ingredients of the Dipping Sauce. Serve immediately with jasmine rice.